Those that know about me of have read through my Blog will know that I’m unfunded film maker. In 1997 I started working on my project ‘The Men & Their Music’. 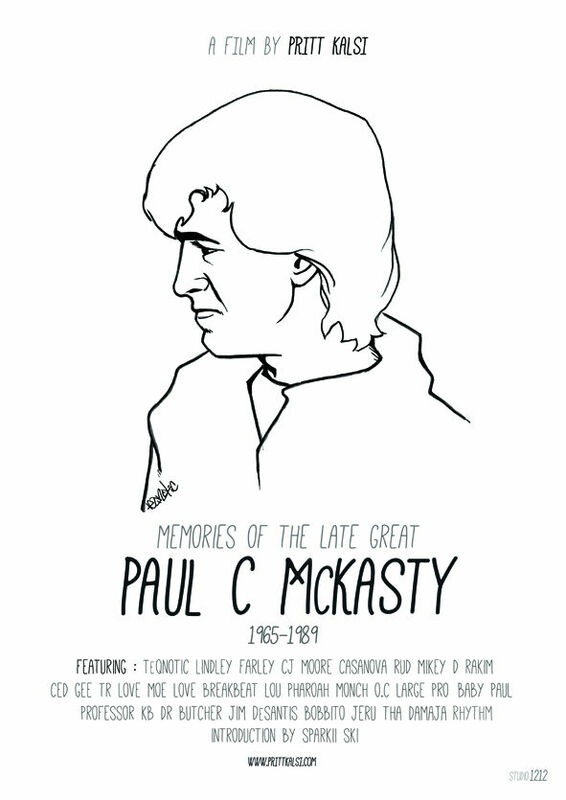 The Paul C film started out as a chapter of that, manifesting into its own project. TeQnotic and I worked together on this project creating a poster fitting for the film. I played the role of Art Director, TeQnotic the artist. Here is your chance to own 1 of 50 limited Edition Posters signed by myself the director of the film. As a thank you gift to those that supported the project, took part in the project, members of Paul’s Family I am trying to raise the funds to get posters printed and shipped to them. This is a one of chance to own a copy of the poster never to be reprinted. If you watched the film and would like to support real independent film making, please feel free to show your support.